The Harwich® Plain Wide Noseband Hunter Bridle offers traditional styling and outstanding quality at an amazing value. 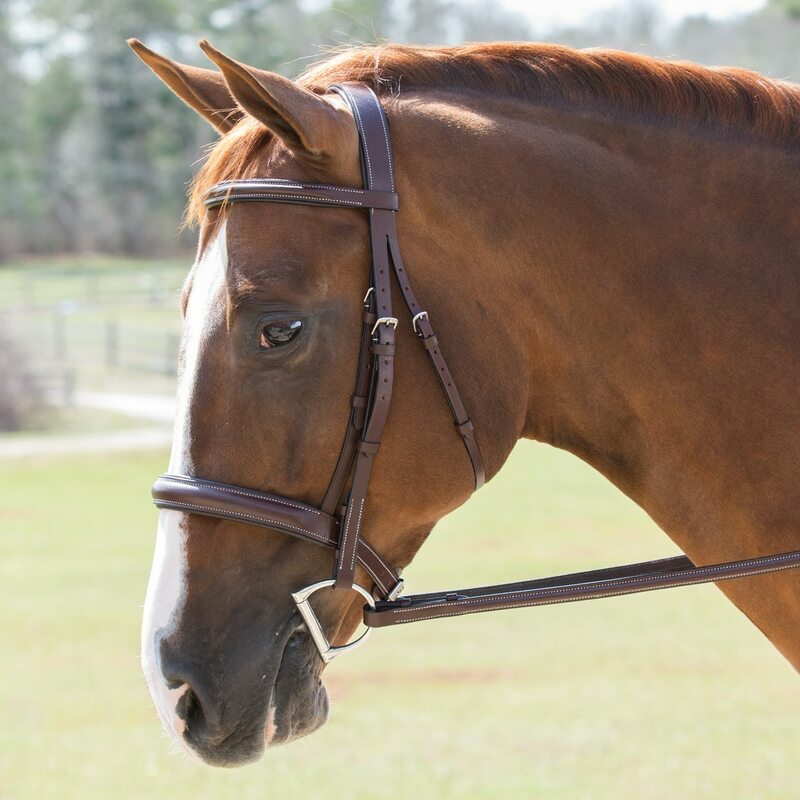 This bridle is crafted from durable, supple, vegetable-tanned leather and features a beautiful walnut color and plain stitching with a wide noseband to compliment your horse’s head. 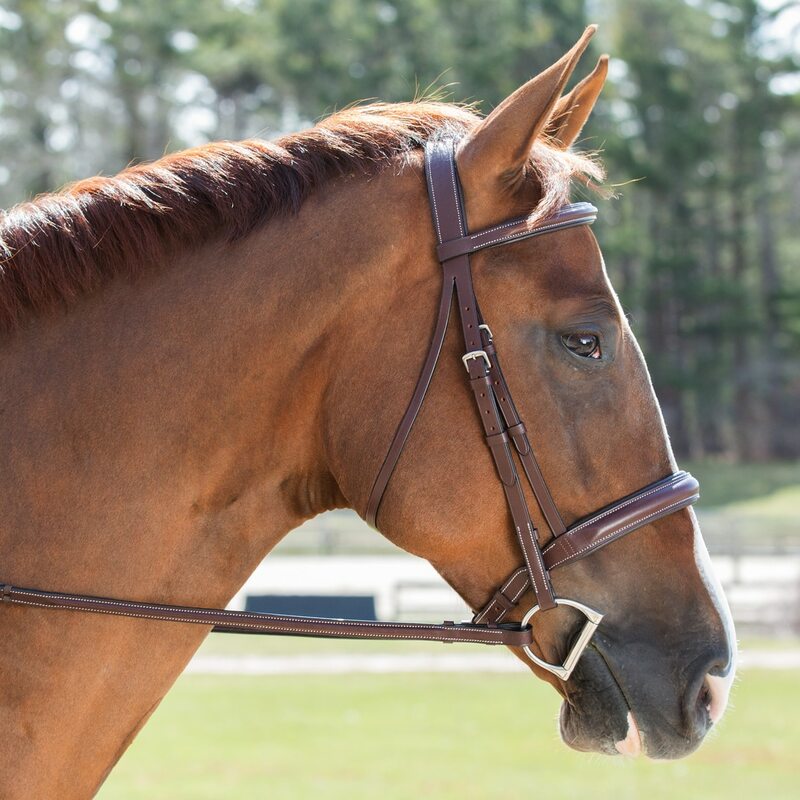 The noseband, browband, and monocrown all feature soft padding for your horse’s comfort. The superb craftsmanship is reflected in the fine details and the sturdy, stainless steel hardware. Complete the look with matching laced reins included in purchase. Check out the other pieces in our Harwich line, Here! Wide padded fancy stitched square raised browband and noseband. Padded Comfort Crown design with decorative stitching ad 5/8" laced reins.